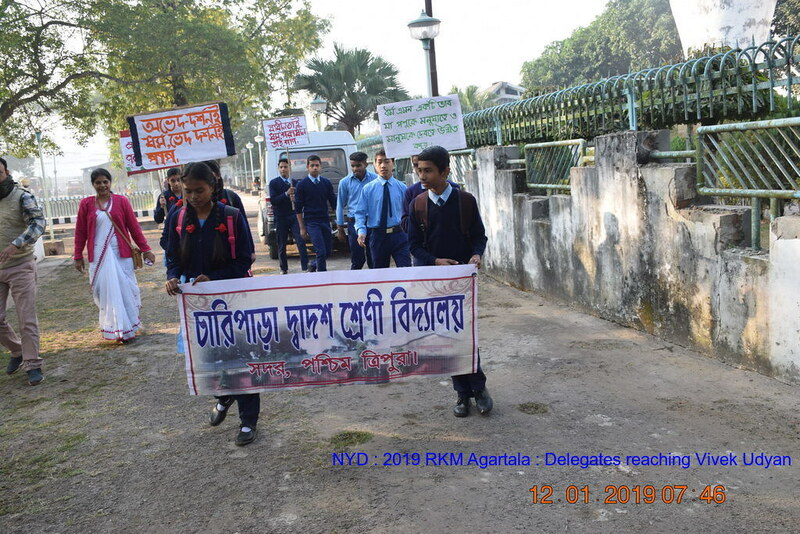 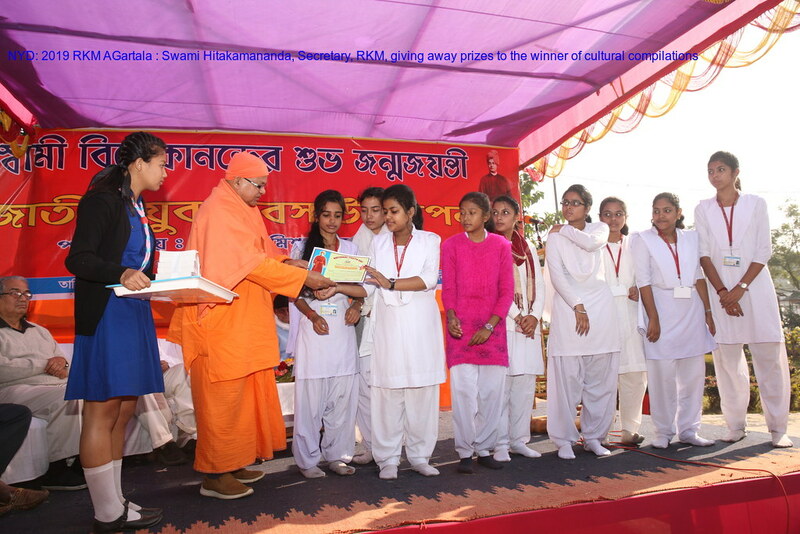 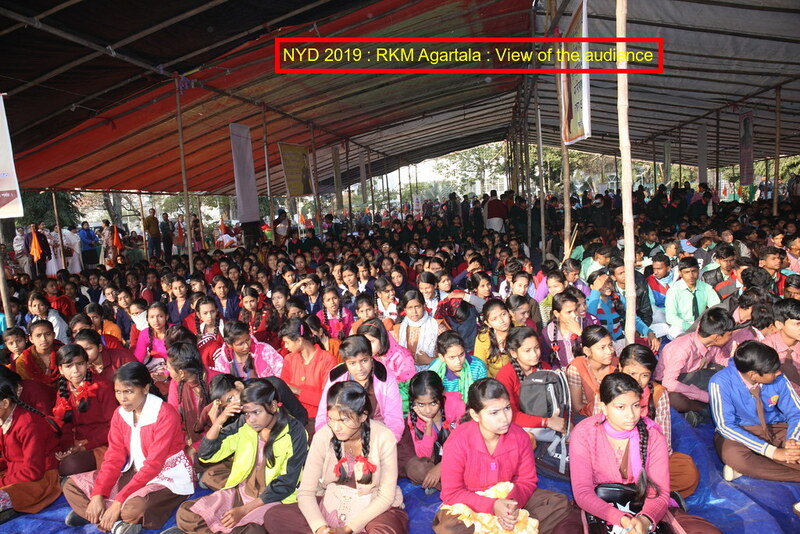 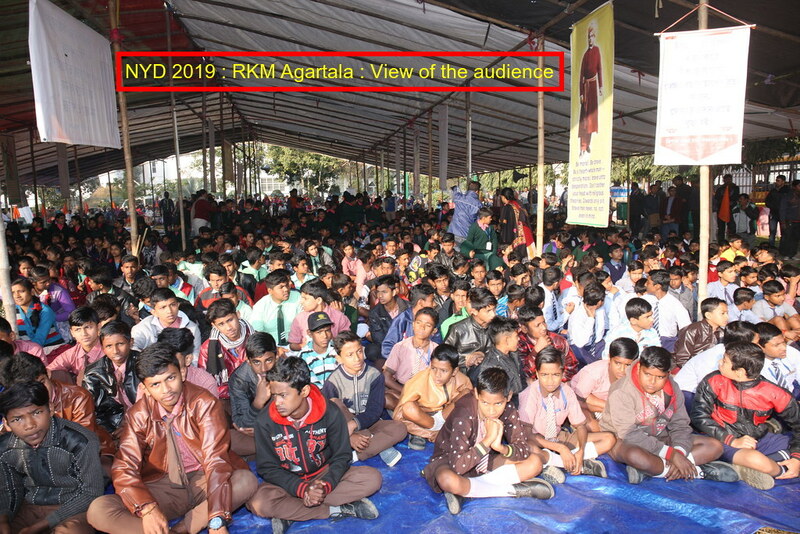 National Youth Day was observed by Ramakrishna Mission, Agartala on 12 January 2019 at Vivek Udyan, located at Agartala Town, in collaboration with Secondary Education Department, Govt. 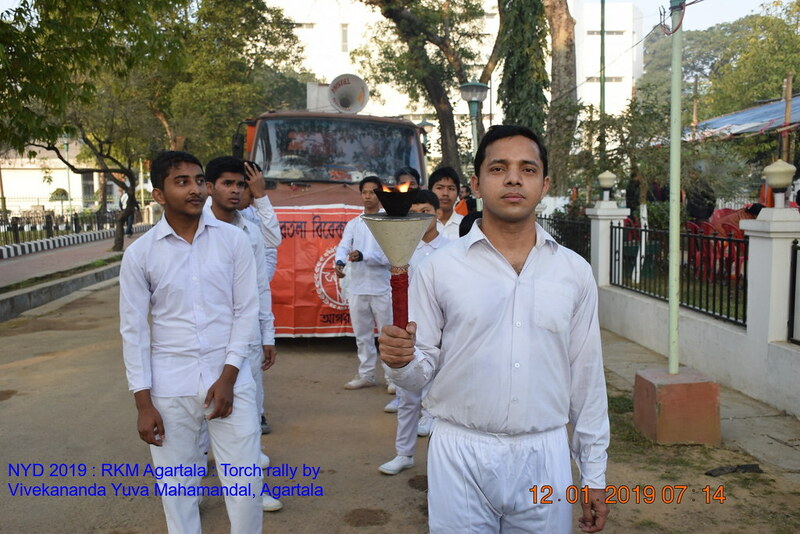 of Tripura, Vivek Udyan Sanrakshan Samity, Agartala, and Vivekananda Yuva Mahamandal, Agartala. 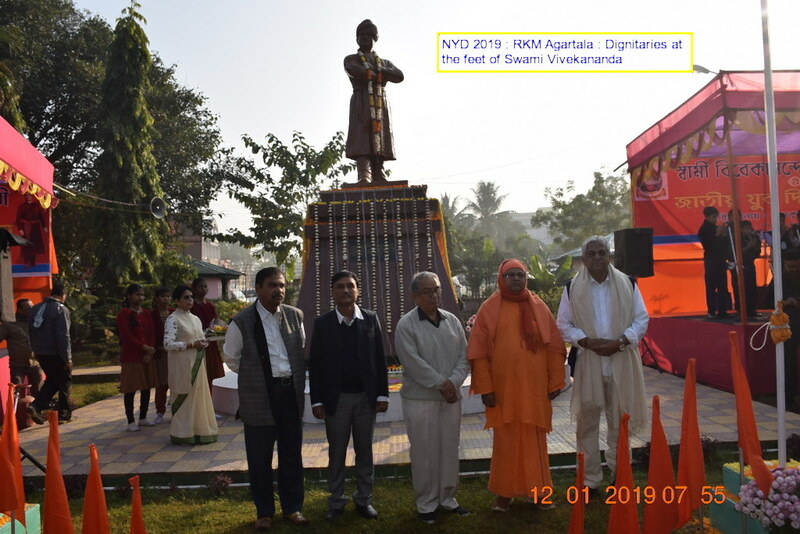 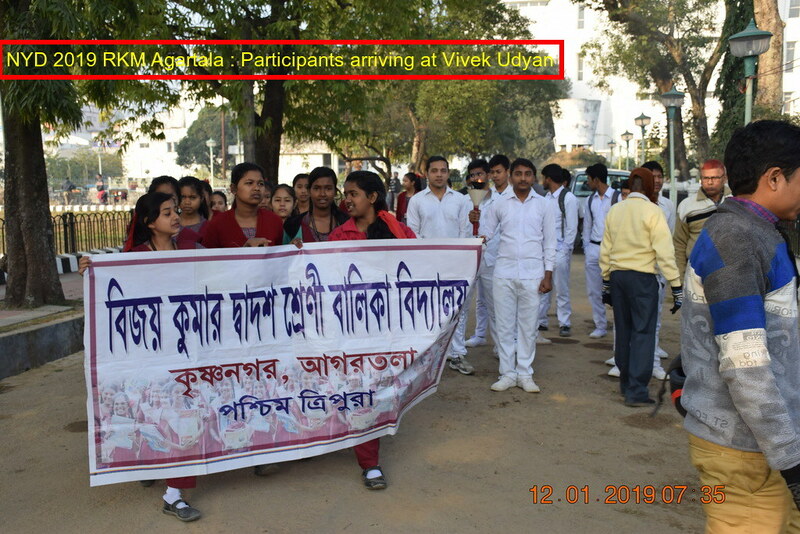 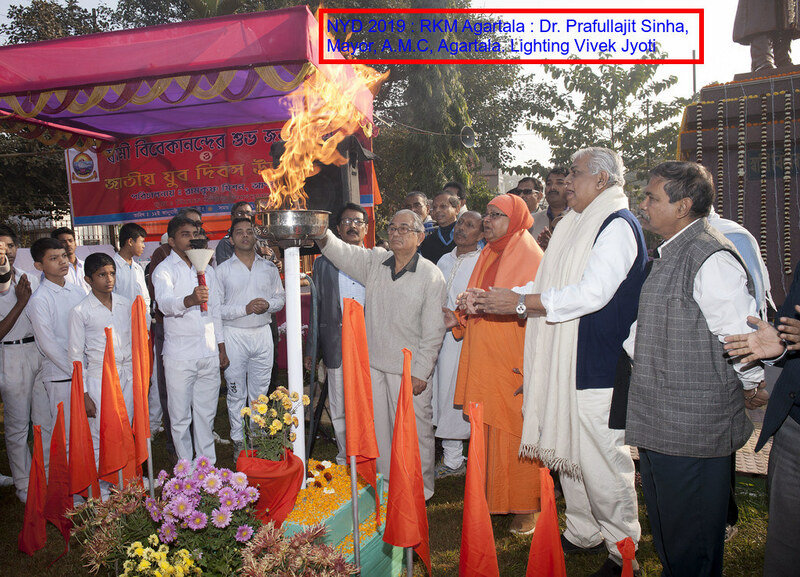 The programme included a torch procession and a rally at Vivek Udyan in Agartala at the feet of the bronze statue of Swami Vivekananda at 7.50 a.m. on 12 January 2019. 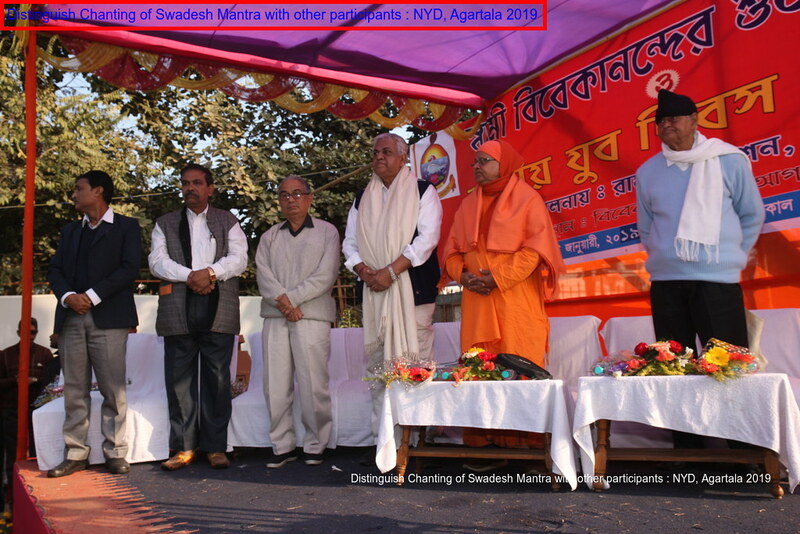 Several dignitaries addressed the rally comprising 1520 students, 189 teachers and 500 citizens. 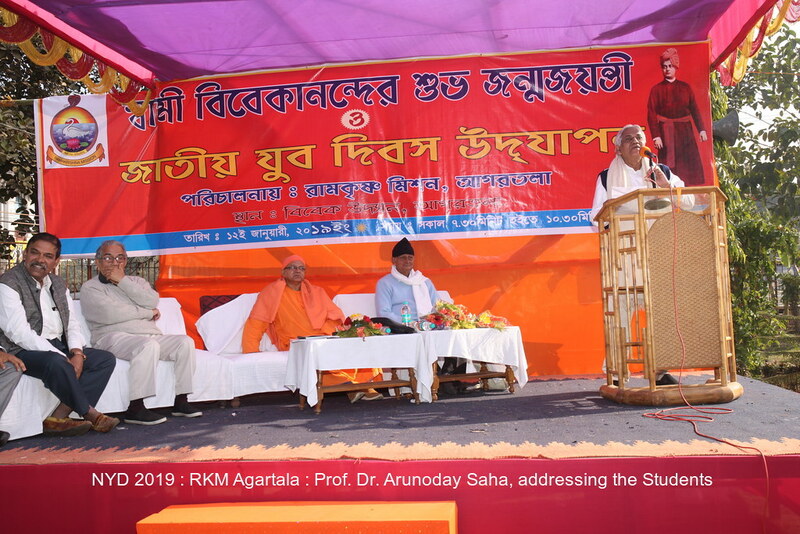 Dr. Prafullajit Sinha, Mayor, A.M.C, Agartala, Prof. Dr. Arunoday Saha, Chairman, Higher Education Committee, Tripura, former Vice-Chancellor, Tripura Central University, Chief Guest, Sri Sanjoy Chakraborty, Addl. 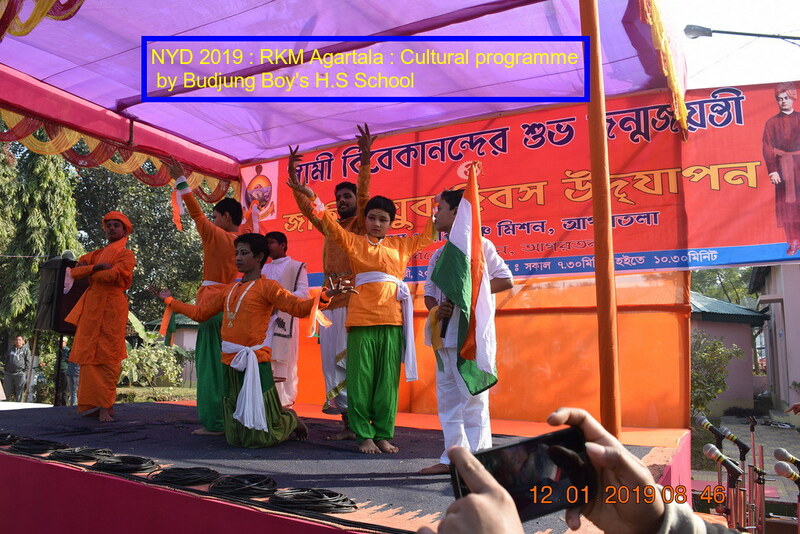 Director of Secondary Education, Govt. 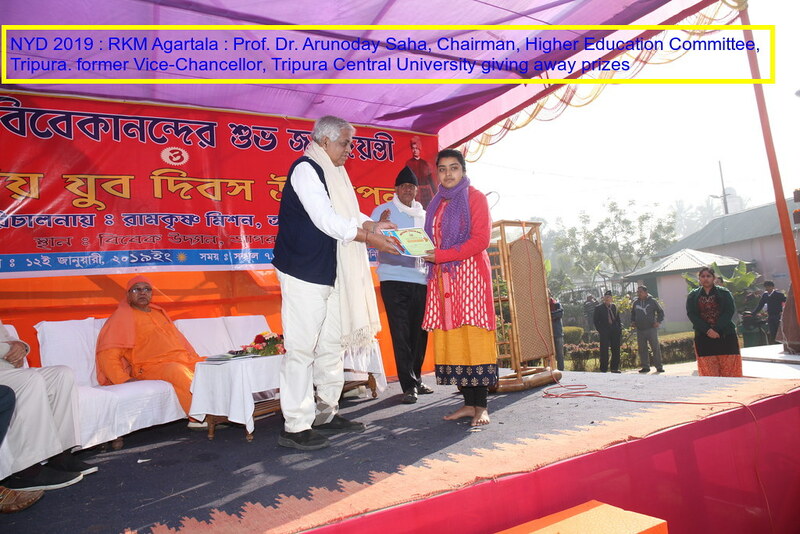 of Tripura and Dr. Keshab Chakraborty, Member Secretary TSBTC, attended the programme as Guest of Honour and Special Guest respectively. 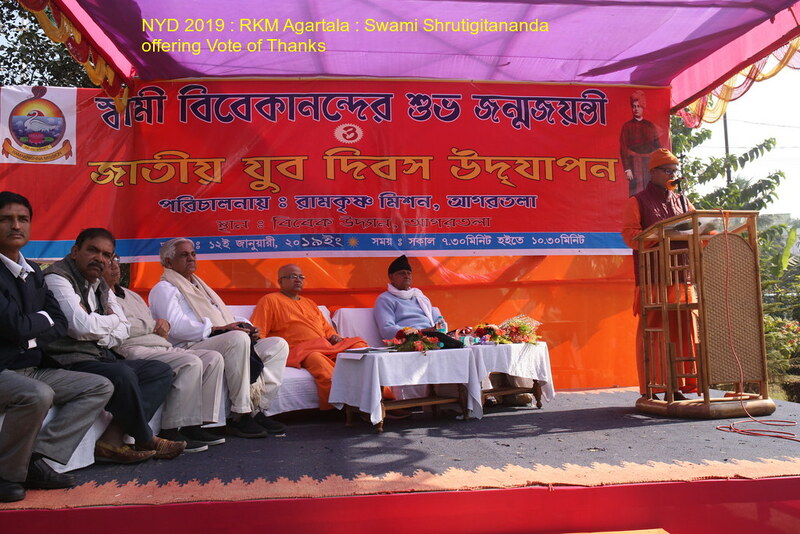 Swami Hitakamananda, Secretary, Ramakrishna Mission, Agartala, presided over the programme. 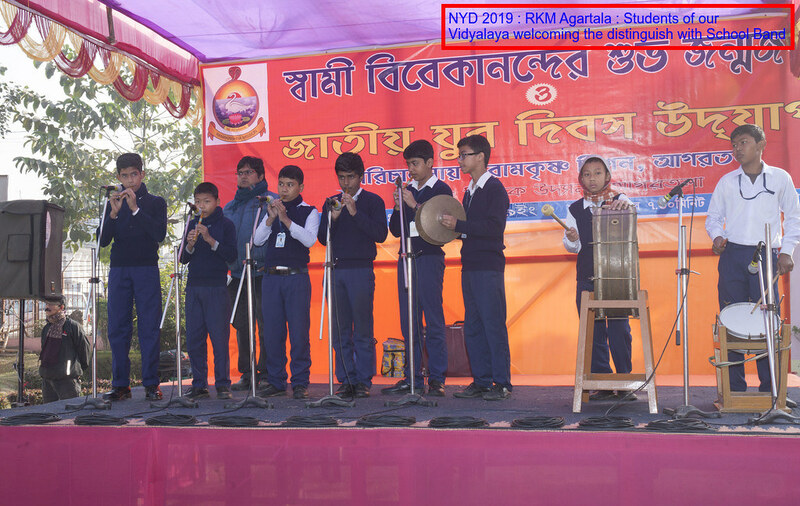 Sri Jyotilal Chakraborty, President, Vivek Udyan Sanrakshan Samity, gave the address of welcome. 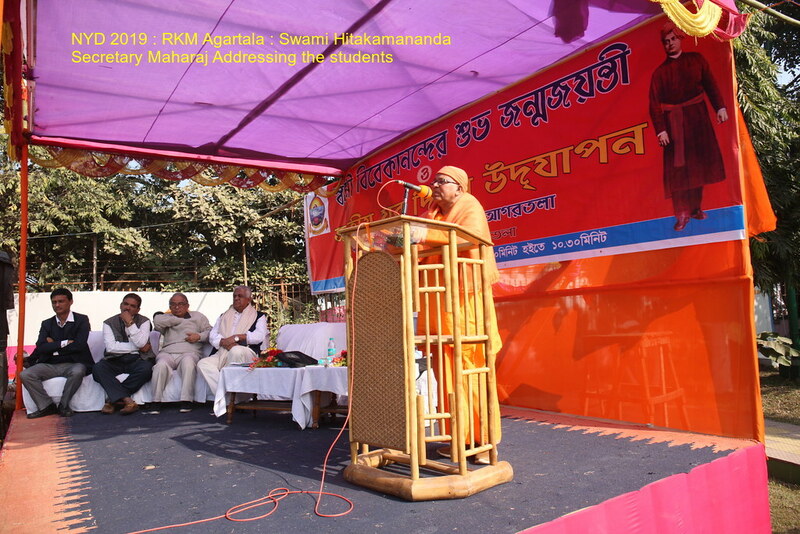 Swami Shrutigitananda offered the vote of thanks.